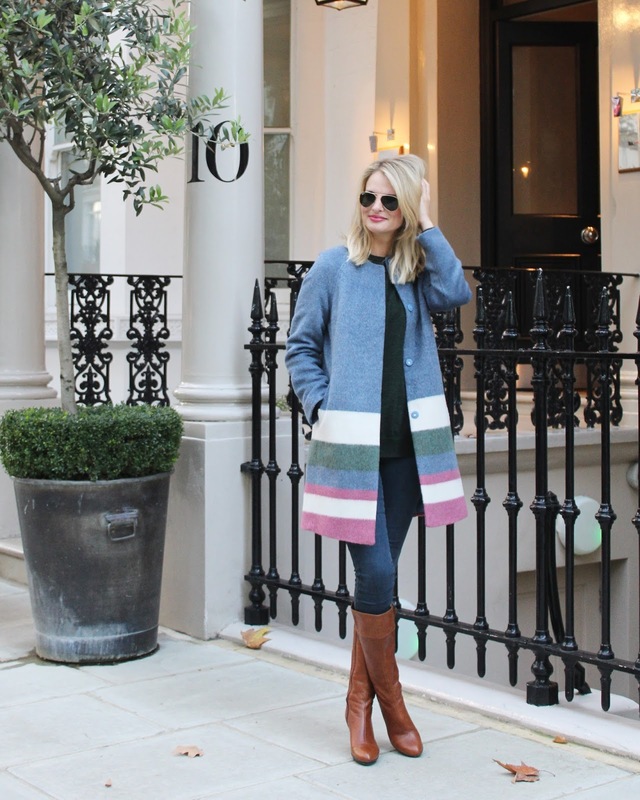 As much as I love a bit of monochrome dressing, I'll always feel drawn to colourfull statement pieces such as this cute coat. I went back to my preppy roots and paired this coat with brown knee high boots and boyfriend jumper. Wirklich ein toller Mantel. Gute Wahl! This statement is great. Though there's color, it's muted. Still eye-catching but not overwhelming. Not to mention it hits you in the spot. The length is perfect. I love Boden because here in the States it's not well known. You can have pieces that no one else does. But most importanly, the carry TALLS! For a girl who's 5'10 like myself, thats a wonderful thing. I love their skirts for work. This is such a nice coat. It looks perfect with the knee high boots! You look very pretty! Have a great day! LOVE this jacket!! It is such a great piece in such nice colours. I have not heard of Boden but really like the pieces, thanks for sharing! What a beautiful coat, I love the colors and how unique it is. I love your coat!! Looks amazing!! Love this coat! So classy! Love this coat! It's so unique!